Every time you have a plumbing problem you ask yourself the same things that other Portland homeowners do, should I repair or should I repair. This could be for something as small as a leaky faucet all the way up to considering repiping your entire home. Most of the time, repairing the issue will be cheaper in the short term. The problem is that you are likely putting off the inevitable and when you no longer have any choice but to replace the bill will be substantially higher than expected. One thing to keep in mind is that when you replace plumbing equipment that is causing your plumbing problems it tends to increase the efficiency of your home. This is especially true if you have been putting off a major issue for years. Modern equipment require less maintenance and are more energy efficient which can lead to savings in the long run. So how do you decide when you should replace or repair? The kitchen sink is integral to the overall function of your home. Because of this, you need your sink to be functioning at peak efficiency. The fact that it is used so much is why it is usually the first sink to develop a leak or other wear and tear issues. A leaky sink can be a huge problem, especially if you decide to put off replacing it. Not only does it waste water and increase your water bill, it also can lead to water damage which lead to expensive repairs. Upgrading to a new sink will greatly reduce this risk. If you want to save some money, be sure to get a water efficient faucet to go with your new sink. This will increase your home’s efficiency and save you money on your utility bills. Even though water heaters are designed to last more than a decade, they still go through a lot of stress and strain on a daily basis. Depending on how old your water heater is, some models tend to age more quickly. 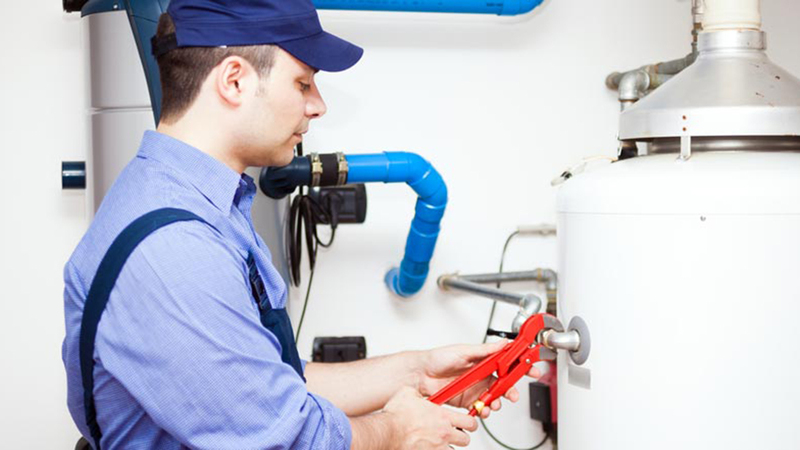 If you do not keep an eye on your water heater’s performance you can run into major issues. If you hear any kind of strange noises, notice rust spots, or water leaks these are all clues that your water heater may need to be replaced. They all can result in a less efficient water heater, which accelerates how quickly it will deteriorate. If you have decided to replace your water heater, you should consider a tankless water heater for your Portland home. Tankless water heaters are directly connected into your homes plumbing. This means that you will have a limitless supply of hot water on demand. Not only are tankless water heaters efficient and practical, they also give you more storage space because there is no tank taking up space that could be used more efficiently. For all your Portland plumbing emergencies, give Vanguard Plumbing a call. We are available 24 hours a day, 7 days a week.